Hello! I'm Emily Hope, the artist behind Hope Ink, and I'm so happy you’re here! One of the things I love most in the world is creating inspiring art —and sharing it with friends. 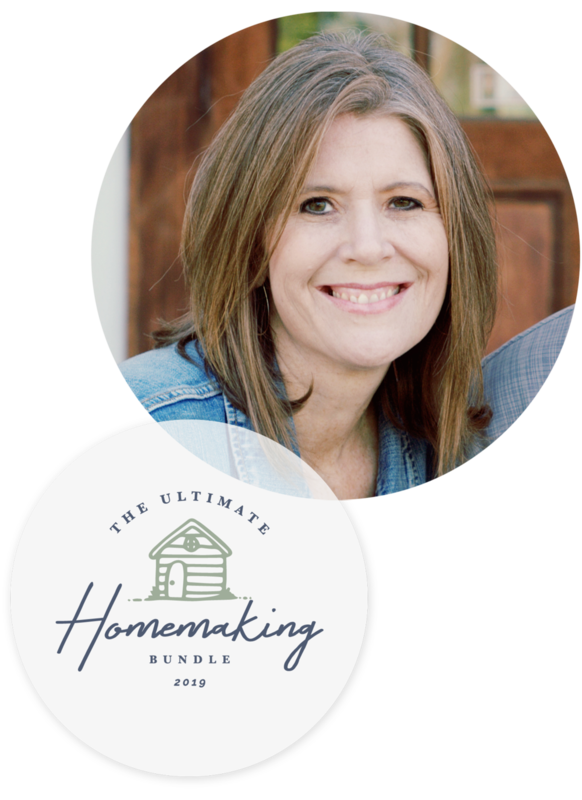 I'm beyond excited to get to bring you these truly special (exclusive) bonus offers from the Hope Ink Shop - all of which are included in your 2019 Ultimate Homemaking Bundle. I pray that they would be a source of fresh inspiration and sweet encouragement for you! Step 1 > To use your $15 credit, visit the Hope Ink Shop and add at least one item to your cart. Step 2 > Choose your TWO bonus 8x10 prints and add them to your cart. All designs in the shop are eligible for your free prints. *Note: $15 credit won't be applied to free prints - so just make sure you have at least one other item in your cart, besides the 2 bonus 8x10 prints. Step 4 > After completing your order, you will promptly receive a confirmation email which will include a link to download your free Printable Words of Hope Art Calendar. Step 5 > Enjoy your beautiful new artwork! 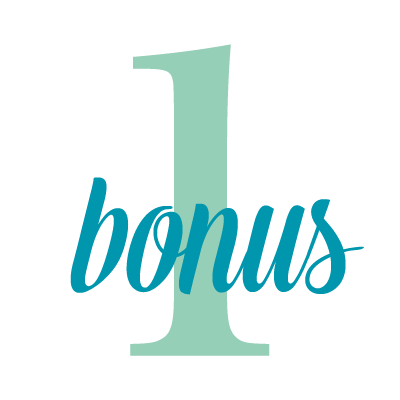 Step 1 > Visit the Hope Ink Shop and add items to your cart totaling $100 or more. Step 2 > Choose your FOUR bonus 8x10 prints and add them to your cart. All designs in the shop are eligible for your free prints. *Note: Your 4 free prints do not count toward your minimum $100 purchase, so make sure you have $100 in your cart before adding bonus prints. Step 4 > After completing your order, you will promptly receive a confirmation email which will include a link to download your free Printable Words of Hope Art Calendar and coordinating Postcards. Subscribe to Hope Ink News & Receive Free Art Postcards! 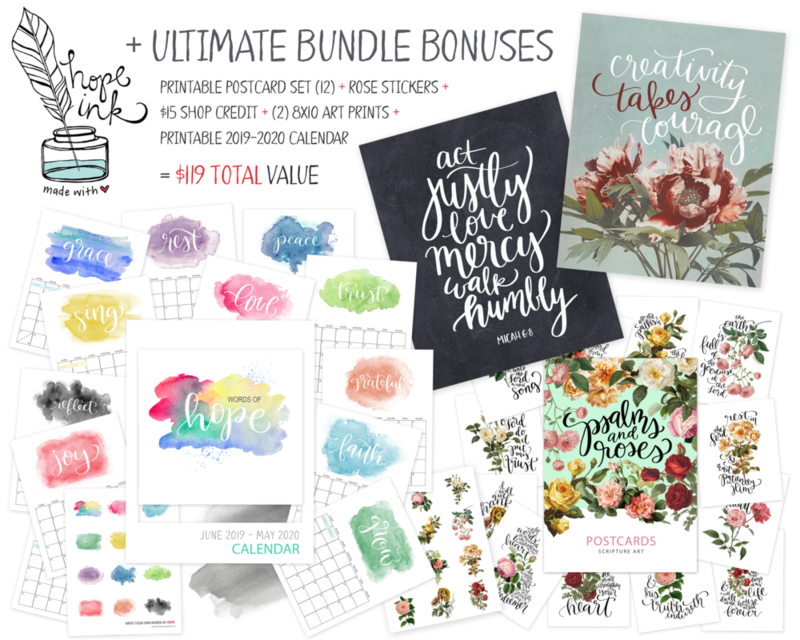 Step 1 > Sign up for Hope Ink emails and be the first to hear when new printables are added to the blog, along with other news, special offers, and exclusive coupon codes! Current subscribers are eligible too! 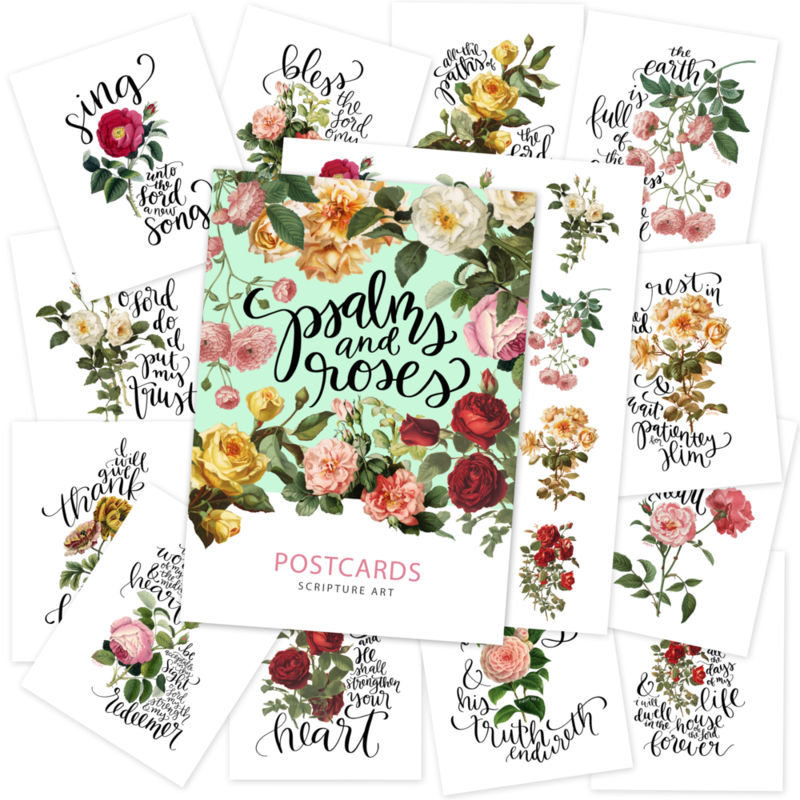 Step 2 > As soon as you complete the sign up form to the right —> you’ll see a thank you pop-up box with a link to the page where you can download your Psalms & Roses Postcards & Sticker Sheet. *Important: If you have an ad or pop-up blocker running on your browser, make sure you disable it first before filling out the form so you don’t miss the link. Step 3 > Print & Enjoy! ALL 3 BONUS OFFERS MAY BE REDEEMED! You may redeem all three bonus offers. Standard shipping charges apply. Bonus offers cannot be combined with any other Hope Ink coupon codes or special offers. Free physical prints are redeemable only with purchase. Extra bonus discounts for free 8x10 prints may only be used for 8x10 prints and not for other products. Bonus Offers 1 and 2 can both be redeemed separately, but coupon codes cannot be applied in the same order. Bonus credits, coupons, and offers have no cash value. ALL OFFERS EXPIRE FRIDAY, JUNE 7th, 2019 - DON’T MISS OUT!